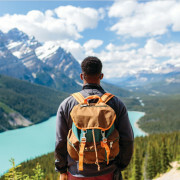 With more wanderlust than you can poke a compass at, Topdeck is still discovering new places to see and unforgettable experiences to make their adventures that little bit more awesome. 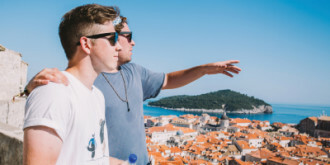 Topdeck Travel realizes that everyone is different – which is why their trips offer loads of free time to channel your inner explorer, as well as the chance to mix with other young, like-minded explorers. It’s your trip, your way. You’ll hit the road in modern Wi-Fi equipped coaches in the middle of all the action. They've included all must-see, must-do activities so you can spend your money where it matters and leave the rest to them. 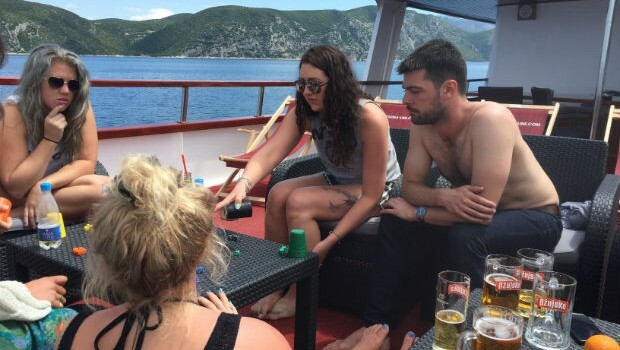 You’ll be hitting up hot spots that Topdeck refer to as “Bucket List Inclusion” destinations, the absolutely necessary sights you will finally be able to cross off your list. Each Topdeck tour includes hand-picked accommodations, transportation, some of your meals, sightseeing, and the services of a trip leader and driver. Each tour is individually fitted with customized inclusions, for example, in Europe on a Hostel Plus trip, the services of on-site chefs in the Swiss Alps, Rome, and Venice are included and on Camping trips, you will also be able to enjoy the services of an on-road chef. Topdeck first began in 1973 when a group of friends with a keen sense of adventure converted a camper van into an overnight coach for a handful of passengers for a trip to Spain and Morocco. And the rest, as they say, is history. With over 40 years of passion and expertise in the travel industry, you can feel rest assured that your next adventure across the globe is in the right hands. Topdeck tours offer plenty of free time to encourage you to wander and explore at your own pace. Take your time and immerse yourself in the world around you. Get the experience that you’ve always wanted with Topdeck. Coast from city to city in a modern coach equipped with Wi-Fi for a comfortable, relaxing ride and put your wallets away - Topdeck’s No Tipping policy means you’re always being treated with the best trip possible. Iconic landmarks, off-the-beaten-track hidden gems, and one-of-a-kind experiences. Topdeck tours always include something special just for you to make sure you're set for the most unforgettable trip of a lifetime. We all travel differently, some like creature comforts and others like exploring up and coming destinations. As long as you have the urge to explore, have fun and meet awesome people you’ll find that Topdeck's trip styles cater to (almost) everyone. 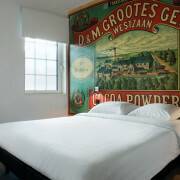 Their trip styles include Hotel, Hostel Plus, Camping, Explorer and Festivals & Events, to name a few. Indulge in a little luxury with this trip style. The perfect fit for couples and singles, hotels are conveniently located nearby or in the middle of the action and include creature comforts to make you feel at home. 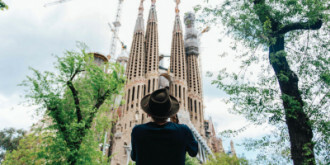 Hassle-free with plenty of free time, this trip style offers solo travellers and bucket list travellers a variety of accommodations to call home while you're on the road, from hostels, yachts, bungalows, and more. 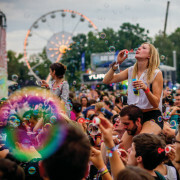 First class camping and resort facilities set amidst some of the most unique destinations in the world, this trip style will bring you up close and personal to the world around you without stretching the budget. Smaller groups and more relaxed itineraries, this trip style allows travellers to explore off-the-beaten-track like locals. Indulge in local foods and discover parts of the world you may never have considered before. Celebrate good times with Topdeck! Whether you want to hurl tomatoes in the streets at La Tomatina in Spain or throw back a pint at Oktoberfest in Germany, experience the world’s most exciting events with Topdeck. Experience the best cities, urban jungles, national parks, landscapes and culture with a memorable Topdeck adventure. Each trip includes stylish accommodation amongst the action, heaps of free time to play and explore, mouth-watering local food and purpose-built transport. Traverse mountains, rivers and lakes, laze about on idyllic palm-fringed beaches and roam some of the world’s best National Parks in search of wild animals. 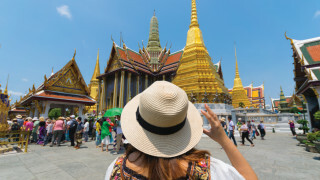 Eat your way through Bangkok with a street eats tour, Rock with Uluru in the Red Centre, have a tipple at a Sake brewery tour, get cruisy in Halong Bay and gaze over the Golden Triangle from Laos. Sound tempting? We thought so. Here's a few of our favourites. Dive in and explore Bali on this adventure through Indonesia! Island hop from one white sand beach paradise to the next, take time out on a yoga retreat in Ubud, or go on an exciting mountain biking tour, Indonesia will excite and delight. 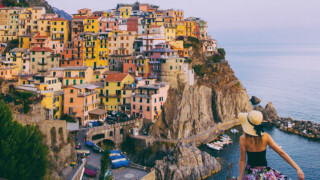 Experience "the good life" as you make your way through the picture-worthy country of Italy. See world-renowned works of art, historical landmarks, enjoy the amazing nightlife, savour delectable food and sample some of the best wines in the world. Salute! Japan is where old and new meet. 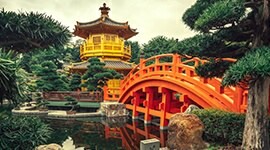 Whether you visit ancient temples, spend an evening at the Robot Bar, experience a tea ceremony with a geisha, make the crossing at Shibuya or pay your respects at the Hiroshima Peace Museum, Japan has something for you. Take a different approach to your Iceland trip by experiencing it in the summer. Visit Reykjavik, Akureyri, Egilsstadir and Kirkjubaejarklaustur (say that ten times fast). With a name as heavenly as Daydream Island, you will wonder if you stumbled into paradise. 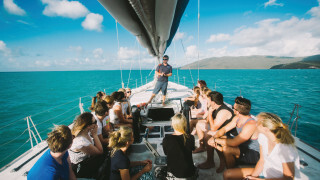 Sail the Whitsunday Islands, take a wine tasting tour in the Hunter Valley and hang ten at Topdeck’s own Surf Lodge. Get lost in the wonderful world of Oz. Leprechauns, Guinness and four-leaf clovers are all things that come to mind when you think of Ireland. 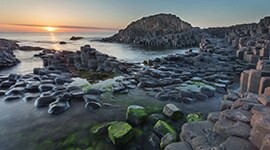 Go beyond and discover the natural wonders of the Giant's Causeway and the Cliffs of Moher. Visit unique cities like Dublin, Killarney, Galway and Belfast - all destinations that will give your Instagram feed enough material to make your followers jealous. 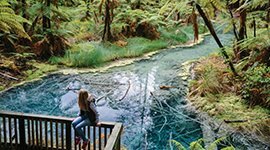 Make your journey from Auckland to Christchurch and see the very best of New Zealand. Check off bucket list items like Bay of Islands on the North Island, explore the Tongariro National Park, the South Island's Milford Sound and Fox Glacier. New Zealand's natural playground awaits you! Visit sacred temples in Thailand, walk through Pak Ou Caves in Laos, stay up and enjoy the buzzing nightlife of Siem Reap, and eat your way through Vietnam. This epic journey through Thailand, Laos, Cambodia, and Vietnam will change your life. See, hear, and taste for yourself the wonders of the world that surround you. In the meantime, check out these videos to see how Topdeck can take you on an unforgettable journey around the globe you could never possibly imagine. See Europe, Australia, Africa, Egypt, New Zealand, the Middle East, and North America with bright eyes and Topdeck’s passion for travel. You won’t regret it.